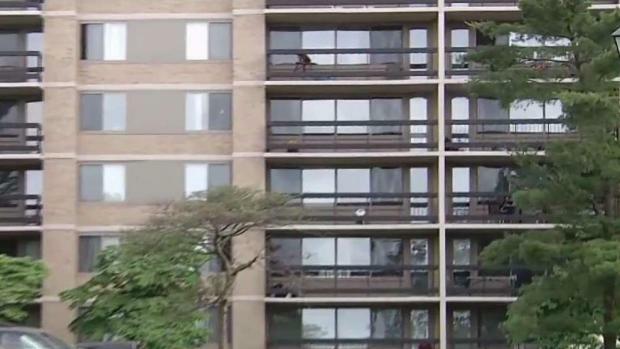 A 2-year-old boy has died after falling off a 24th-floor balcony in Fairfax County, Virginia, police say. The toddler was found before 4 p.m. Monday near the Skyline Towers Apartments, in the 5600 block of Seminary Road. First responders tried to help the child, but he was pronounced dead. An adult inside the apartment was taking care of another child at the time of the fall, Fairfax County police said in an update Tuesday. Police did not immediately release the child's name. Initially, police believed he fell out of a window. For the second time in three years, a toddler has fallen from a window at Skyline Towers apartments. News4's Julie Carey spoke to a woman who witnessed the latest fall that took the life of a little boy. An area was cordoned off near one of the towers. Several women with children in their arms stood nearby. Police were on the scene for hours. A spokesman for Equity Residential, which owns the building, released a statement saying the company was cooperating with the investigation. "Our thoughts and prayers are with the family at this very difficult time," the statement said. Residents told News4 that the rails on the balconies are wide enough apart that a child can squeeze through them. "In between them, any 2-year-old can put their head through the gap," one resident said. "My wife wants me to move and buy a house." At least two other children have fallen from apartments in the towers; one was killed. In May, a 3-year-old boy died after falling through the screen of an open bedroom window in Skyline Towers, 26 stories up. 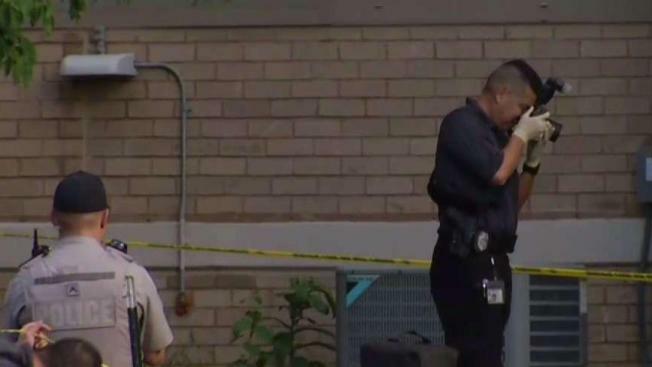 A woman said she was cooking in her third-floor apartment when she heard screams and ran to her balcony. In 2015, a toddler fell from the fifth floor of an apartment and survived. Many residents are concerned about the locks on the window screens, a resident told News4 on Monday. Linda Watkins, a spokesperson for the organization Safe Kids Worldwide, previously told News4 that window screens are meant to keep bugs out but are not sturdy enough to keep children inside. Watkins said parents should keep furniture away from windows. "A lot of times, we will have furniture of some sort, or even the crib, pushed up against a window, and toddlers can climb up on that and get to the windows and push those screens out," she said. Families can install window stops or guards, and if a window opens from the top and bottom, they should only open the top. An investigation into the child's death Monday is ongoing.